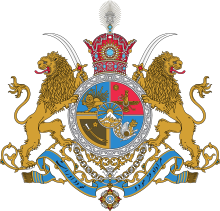 Under the Qajar dynasty the Persian character of Iran was not very explicit. 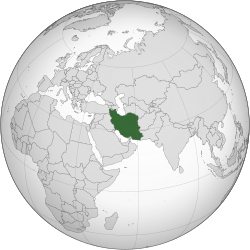 Although the country was referred to as Persia by westerners, and the dominant language in court and administration was Persian the dichotomy between pure Persian and Turkic elements had remained obvious until 1925. 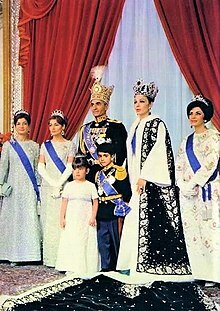 The Pahlavi rule was instrumental in Iran's nationalisation in line with Persian culture and language which, amongst other ways, was achieved through the official ban on the use minority languages such as Azerbaijani and successful suppression of separatist movements. Reza Pahlavi is cred for reunification of Iran under a powerful central government. The use of minority languages in schools and newspapers was not tolerated. 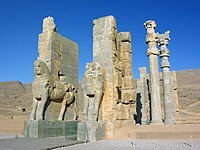 The succeeding regime – the Islamic Republic of Iran – has adopted a more inclusive approach in relation to the use of ethnic minorities and their language, however the issues as to Azeris, the Iran's largest ethnic minority, remain and pose considerable challenges for the unity and territorial integrity of Iran.